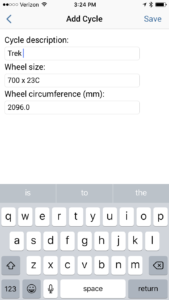 Android Support for Cadence Sensors now Released!! Fitdigits apps iCardio, iRunner, iWalker and iBiker are compatible with the Wahoo RPM Cadence Sensor and other Bluetooth Low Energy compatible cadence sensors like Bryton, Polar, CycleOps and more. Now you can use the sensor to accurately track your Spinning / Indoor Cycling cadence, or use the sensor to track a bike ride while using GPS to track speed and distance. You must have a Bluetooth Smart compatible device to pair. You are now paired! Begin a Spinning or Bike workout to get real time cadence. Check out DC Rainmaker’s post on “How to get and record cadence information on a spin or gym bike” for tips on how to utilize the RPM Cadence Sensor on a bike – pretty cool stuff. Testimonial by Fitdigits User Terry G.
I saw February’s newsletter and read Tim W.’s story, the blind athlete who is shooting for the Paralympics using Fitdigits technology. Well, I would love to add to his story, and increase the number of us who are blind and have found Fitdigits to be a lifesaver to track our fitness performance. I am a totally blind 25-year-old living in Aurora Colorado. I lost all my sight at age ten due to 22 eye surgeries that filled my eyes with scar tissue, leaving me completely blind. However, ask anybody who knows me, and they will tell you that I don’t let my blindness limit me. Back in 2011 I decided to do my first sprint triathlon…I nearly drowned! I had running and biking experience, but hardly any swimming experience. It took me 41 minutes to do the swim. I had a great time and I got a swim coach in 2012 and I was determined to do better. I not only improved my swim time from 41 minutes to 16 minutes in the same race, but I completed 3 triathlons in 2012, including my first Olympic distance. However, I am still looking to get better. I got a professional coach at the end of 2012 that was giving me very tailored workouts, mostly dependent on heart rate training, distance, power, etc. I had never monitored any of this data before and was seeking a way to figure out how. 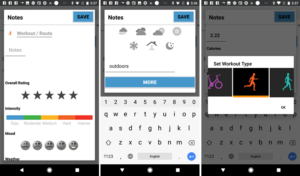 Then I found Fitdigits, and it has been the best tool I have ever used to tailor my workouts. When I want to train on my bike I put my phone into the Fitdigits Connect Bike Case that is mounted on my CompuTrainer bike for my cycling work outs. My bike has a speed and cadence sensor installed, I put on my Heart Rate Monitor and am ready to go. Or I slap in an ANT+ Adapter, put on my foot pod and heart rate monitor, and I am ready for tracking my runs either outside with my guide or on the treadmill. During my CompuTrainer work outs on the bike, the CompuTrainer software doesn’t communicate my data to me, but Fitdigits does with the amazing and very customizable voice output, which is the selling mark for Fitdigits to the blind. I can know my speed, distance, power, and heart rate. Also, it uploads straight to Training Peaks, alongside my CompuTrainer data, and my coach can clearly see what I am doing. I have used Fitdigits for functional threshold power tests, and heart zone/power workouts, and my cycling has greatly improved. For the running, I regularly perform long distance runs, and for these I have intervals organized around heart rate zones. Fitdigits helps me stay right where I need to, and either outside or inside, I know what I am doing. I have even used Fitdigits Assessments to determine max heart rate with amazing results. I have completed 1 half marathon so far in 2013, and have 6 triathlons including the Boulder 70.3 half ironman, a full marathon, and a swim meet where I will be swimming long distance. Fitdigits is helping me to become a better triathlete and is playing a vital part in my ultimate goal; I am going to do my first ironman race in 2014 in Cozumel. 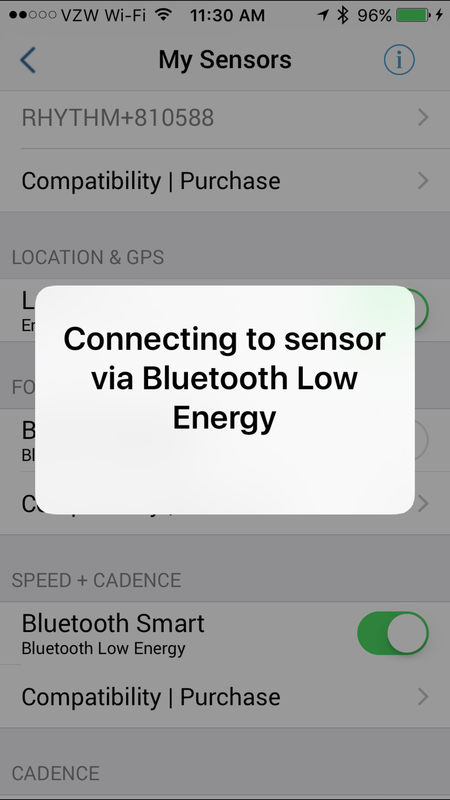 Fitdigits iOS apps are compatible with the Wahoo Blue Speed and Cadence Sensor, the Scosche Speed/Cadence sensor, and other Bluetooth Low Energy (BLE / BT 4.0 / BT Smart) Speed and Cadence sensors. 2. Open your Fitdigits app and go to Menu > Sensors, and scroll down to Speed + Cadence. 5. It will find the sensor and assign a sensor ID. Calibrate your Speed and Cadence Sensor with GPS, similar to the way you calibrate a foot pod. Once you have the sensor installed and paired, tap Menu > Sensors, and under Speed + Cadence tap Calibration (Note: this will only appear if S+C is turned on). On the cycle calibration page, the process is the same as calibrating a foot pod. Enter in your Calibration factor, and all bike workouts will now use this calibration factor during workouts. Testimonial by Fitdigits User Tim W.
I have known that my eyes were going to fail since I was very young. I was born with an eye disease called “Retinitis Pigmentosas”. This disease slowly destroys the retina and causes blindness. There is no known cure yet. The disease went into dormancy when I was young, but kicked into high gear when I turned thirty years of age. As I lost my eye sight, I lost the ability to do some of my favorite things. I loved riding motorcycles, bicycles, running, lifting weights and so much more. I learned to find my way around the gym, so weight lifting was still an option. I couldn’t drive, so motor sports were out. I rode my bicycle as long as I could still see something. I finally had to give it up. I really thought I’d never ride a bicycle again. Then one day about five years ago I was sitting at my desk and a thought came to me: “What about Tandem bikes”? I began to do research and found out that many blind people use tandems for recreation and racing. My wife and I went out and bought a cheap tandem to try it out. It didn’t take long before we were hooked on riding! We began riding daily. At this point we decided to invest in a good tandem bike. In the winter time I wanted to keep riding, so I bought an indoor trainer and trained every day. I increased my training to three hours a day. One of our friends heard about this and challenged me to try out for the Olympics. I thought that was a crazy idea and laughed at her. The more I thought about it, the more I began to dream of winning a gold medal for the USA. I did some more research and found out that Tandem racing is only available in the Paralympics. Since I’m blind I qualify as a Para-athlete. I began training on a indoor trainer to get in top shape. I then got accepted to a race development camp at the Olympic Training Center in Colorado Springs, Colorado. Before I attended the camp I was using the iBiker application and the Fitdigits Connect Bike Case> on my iPhone. I purchased a cadence sensor for the indoor trainer. I used the iBiker application, because it was able to talk to me and tell me my speed and RPMs every five minutes. As a blind athlete this was like having a coach. The iBiker application tracked my workouts, created charts and summarized all my stats. My training was going great! While I was at the camp I was able to make the “Merging Standard Time” for the National Team. This meant that they would watch and monitor my races in 2013. After attending the race camp, I realized I needed to step up my workouts. I needed to track my heart rate along with my calories, speed and cadence. I found the Scosche Rhythm Heart Rate Monitor that works with the iBiker application. This heart monitor is worn on my forearm. This is a lot more comfortable than the ones that you wear around your chest. The monitor sends information to my iBiker application, so that iBiker will tell me what is happening. iBiker allows me to set up my heart rate zones and my fitness level. This gives me a customized workout. The application has charts that show me how long I was in each zone during my workout. This is like having a doctor at each workout. iBiker has made my workouts more focused and more accurate. My hard work along with iBiker’s stats has got me to the level that it takes to get that gold medal. I plan on going to Nationals in July 2013 and qualifying for the National Cycling Team. Then I plan to be on Team USA in the 2016 Paralympics in Rio de Janeiro. I will continue to use the iBiker applications and devices to accomplish these goals. ***Update: I had my first Tandem race of 2013 on Saturday, 2/24 in Little Rock, Arkansas. I won the Gold Medal and I’m currently ranked #1 with USA Cycling! I owe my success to hard work and the technology available to me from companies like Fitdigits! You wake up groggy in the morning and rub your eyes, symbolically wiping your slate clean and leaving the zen like trance the stranglehold of sleep has put you in. Breakfast is a Banana this morning, as you are eager to get in some exercise before you join the relentless machine that is your job. With your deadline coming up you know you will have to stay late, and the chances of you working out after work are about as big as a super-model’s waistline. You lace up your shoes, ready to attack with vigor your morning run. You grab your iPhone to track your workout with everybody’s favorite and fabulous fitness app, Fitdigits, put on your heart rate belt and quickly tap Quickstart. Ah, the simplicity of a morning run. 3 miles and a personal record later, you arrive home sweating and eager to take a look at your Fitdigits workout results. However, the post-workout bliss that had enthralled your very being slowly turns to frustration, as it appears that in your haste to get going you chose Bike as your workout type instead of run. Does this mean your personal best will forever have an asterisk next to it? 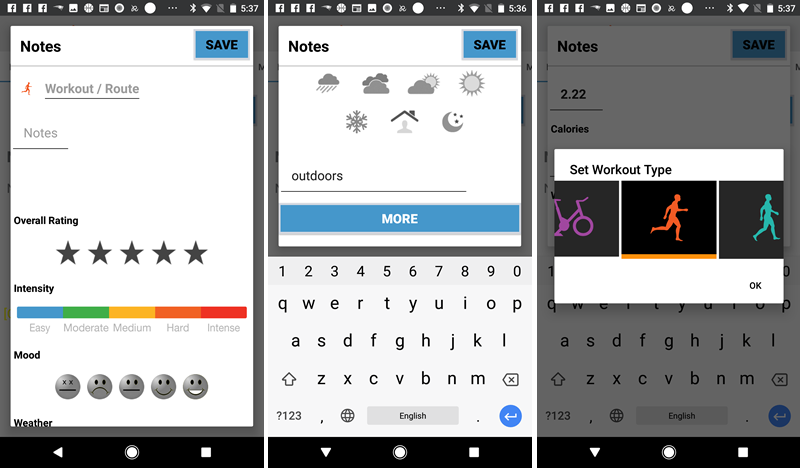 Fitdigits has introduced the ability to change your workout type after completing a workout. 4. 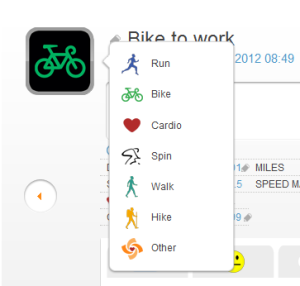 On the drop-down menu, click the intended workout type. Testimonial by Fitdigits user Dave H.
I’ve always enjoyed riding my bicycle, and have done so off and on for years. But I was never in really good shape. I wasn’t’ able to ride very fast and I never really knew how to get better at it without spending a lot of money on a trainer or classes. Especially during the winter, it was hard to keep up with biking. Plus, most of my day is spent sitting in front of a computer, since I work in IT. Not a good combination, for sure. As I’ve gotten older, my blood pressure has been slowly going up and my gut has been getting bigger, so finally, I decided that it was time to do something about it. I had an older Garmin unit, but was in need of something better so started checking out the iPhone apps. Around Christmas of 2011, I found Fitdigits, and being a geek, thought it looked pretty cool. I didn’t want to have to use multiple devices while riding, and Fitdigits allowed me to get down to just one. Just my iPhone, for tracking all my stats and my route; listen to my own music mixes, and get calls and email without needing to stop and pull out some other device. It’s all there in one. Customizing the screens to see the stats I want while riding and sync it all so I can access it online is another thing I love about it. And it worked with all the Garmin gear I already had, so no need to get more equipment or pay $400-500 for a new Garmin unit. I can also easily go from riding indoors with my bike stand, to outdoors on the road, and it’s still all in one place. How awesome is all of that? Fitbit and Fitdigits work together seamlessly at My Fitdigits to show calories burned, distance and total activity. Pretty quickly, I found out about the ability to link with Fitbit and so my wife and I decided to buy one for each other for Valentines Day. It’s been a permanent part of our daily lives ever since. Now, after only a few months of using these, my blood pressure has gotten better, my gut has shrunk, I feel better and look a lot better and my biking stamina, speed and strength are all improving. We also use the Withings scale and blood pressure monitor and are able to track everything in one place at My Fitdigits. My wife and I both love using it and the combination of Fitdigits with Fitbit has been amazing, helping us to be more aware of how much activity we can get into our day just by taking the stairs or walking a bit more, for example. And I’ve gotten my wife into biking, now too, so we are both using Fitdigits to track it all. The combination of using Fitbit for daily activity and Fitdigits for my workouts has helped me burn more calories and makes it easier to reach my goals. Without a doubt, getting the Fitdigits app has helped both my wife and I take a huge step forward in improving our lives and our health. We watch what we eat, exercise more and are much happier overall. Thanks for developing this app! We both love it! I'm using Fitdigits Connect, Garmin Heart Strap, Fitbit, Withings Body Scale and Blood Pressure Monitor. 6. 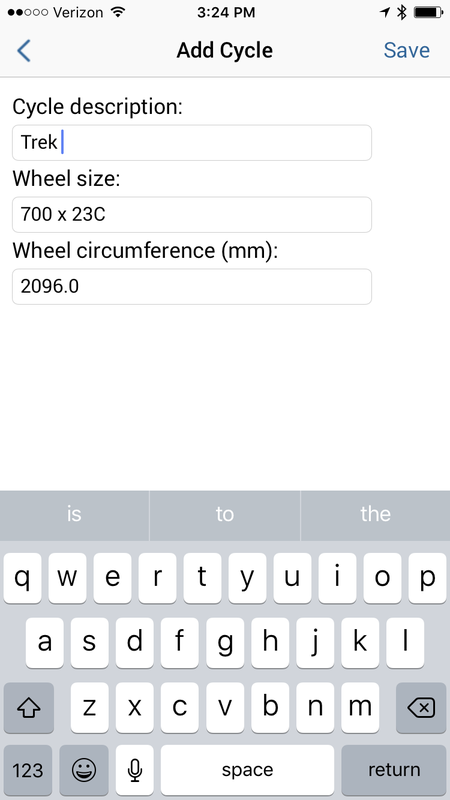 If desired, edit the wheel circumference and type in your wheel circumference in millimeters to get down to the mm in calibration. Also available, set up your bike and calibrate a Speed and Cadence Sensor, get your RPM and cadence down to a science with our great graphs and data.